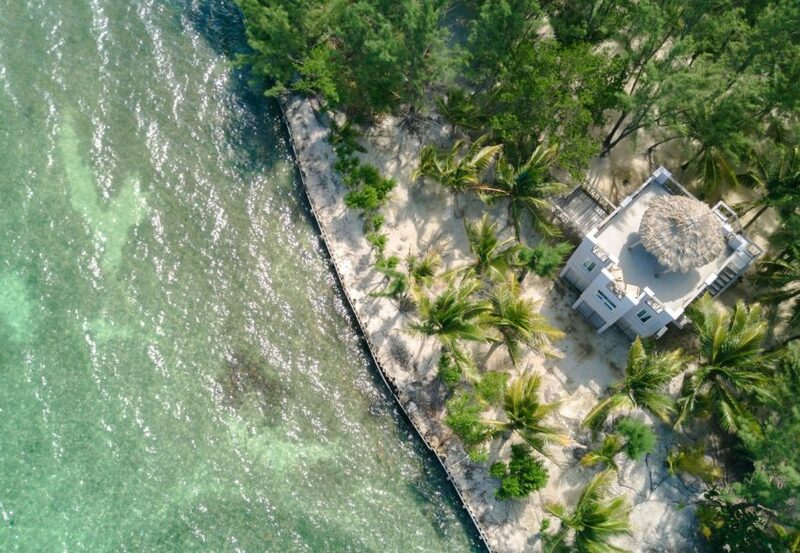 A Thatch Caye vacation is an unforgettable experience. We cater to travelers who are looking for an off the beaten path paradise with a fun, community vibe. 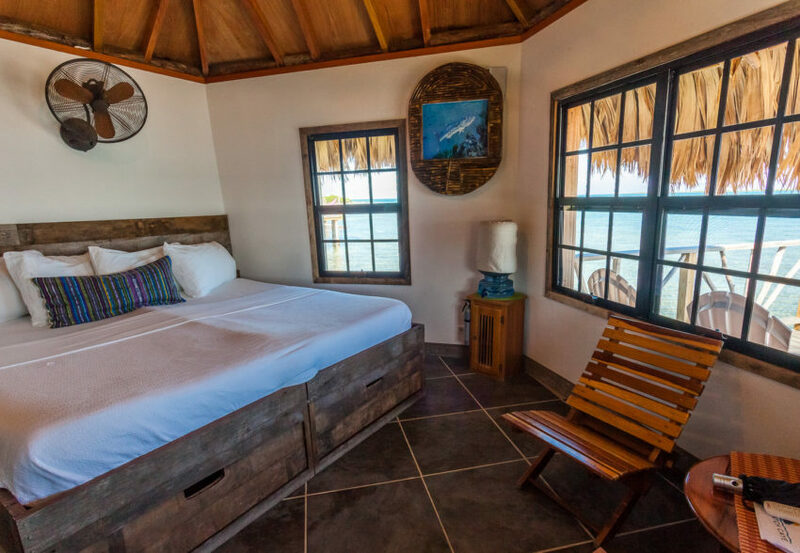 Whether your utopia includes adventure on the open water or sun, sand and drinks, you’ll be right at home at Thatch Caye. Just minutes from the Belize Barrier Reef, you won’t want to miss the snorkeling or diving! If underwater isn’t your thing, we are minutes from the best fishing in the world. We’re a friendly island that welcomes boaters and yacht moorings. From the Coco Lounge to the Starfish Bar, you’ll see that this island is a true destination. Our island resort has everything you’ll want and more. Coco Lounge and The Grove- Your typical daily menu consists of one of a fresh cooked, made to order breakfast, a traditional Belizean lunch, afternoon snack and an authentic entree for dinner. Starfish Bar and Coco Lounge Bar- The Coco Lounge Bar will be open from 6:00 a.m. to 10:00 p.m. and adjust if necessary, the Starfish Bar will be open from 1:00 p.m. until close. If your dream vacation includes a room over-the-water, our bungalows are for you! 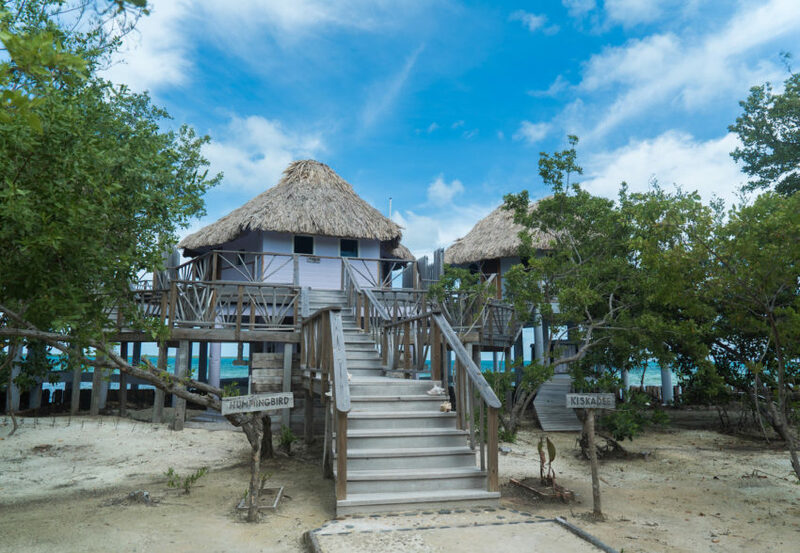 Each of our 5 premier overwater bungalows are built on stilts out over the ocean and fit two adults comfortably. With stunning 180 degree views of distant islands and clear blue water they are a true vacationer’s paradise. 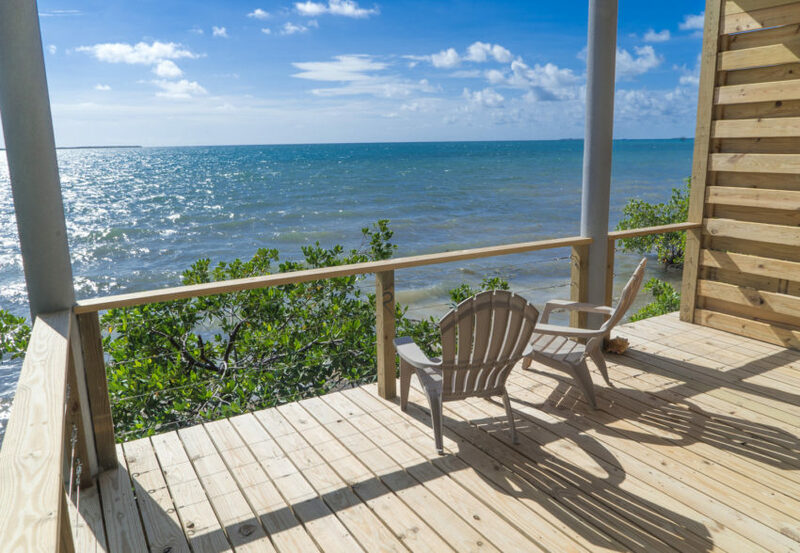 Relax and unwind in a hammock on your private balcony, which sways in the warm island breezes. Even though the premier overwater bungalows have air conditioning, we recommend opening the windows and enjoying the cool air provided by the ocean. Each is colorfully decorated, has an en-suite bathroom, and offers your choice of a king size bed or two twin size beds. Perched high above the sea, our three spacious overwater bungalows easily accommodate 2 adults very comfortably. The bungalows share a large deck with private hammocks swaying in the seabreeze. These units are a friendly close-knit group of thatched overwater bungalows nestled together over the sea. With individual bathrooms with shower, and air-conditioning (but you likely won’t need it), overwater bungalows are a great way for budget-conscious travelers to get the overwater experience. Traveling with a group? The three overwater bungalows share a deck with optional partitions. There is only one Penthouse Oceanfront Cabana on the island and it has the best ocean views of all accommodations. It’s also the largest of our accommodation options, complete with en-suite bath, king-sized bed, seating area and lounge chairs on the patio. The Penthouse Oceanfront Cabana has air conditioning, but we recommend opening the windows and enjoying the cool breeze provided by the Caribbean Sea. The Penthouse is perfect for a romantic occasion, but can also be used to house the whole family! Can comfortably fit up to four guests. Ask us about adding two twin beds into this large cabana. Beautifully located, our four elegant and spacious oceanfront cabanas have spectacular ocean views, en-suite baths, king-sized or two twin beds, window seats, easy chairs and dining tables. A 400 sq. ft. private rooftop patio with hammocks and lounge chairs complete your spacious home away from home. Premier Oceanfront Cabanas have air conditioning, but we recommend opening the windows and enjoying the cool breeze provided by the Caribbean Sea. Premier Oceanfront Cabanas are separate units that hold two adults and one child comfortably. Children under 12 stay in the cabana for free with the purchase of a kid’s package. Additional adults can be added to stay in the cabana with the purchase of full price packages, but it is not recommended. Located directly below the Penthouse Oceanfront Cabana, our two Oceanfront Cabanas have spectacular ocean views, en-suite baths, king-sized beds, and lounge chairs on the patio. Oceanfront Cabanas have air conditioning, but we recommend opening the windows and enjoying the cool breeze provided by the Caribbean Sea. Comfortably fits two adults. entire island, all inclusive. 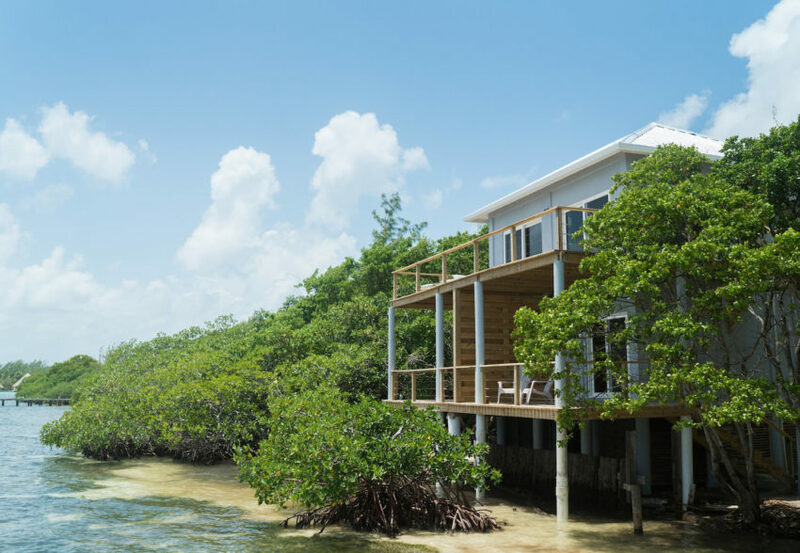 Our All Inclusive Belize Island Rental Package features 15 villas, making it ideal for a group of 30 guests. Most accommodations can be set up with a king bed or two twin beds for added flexibility. 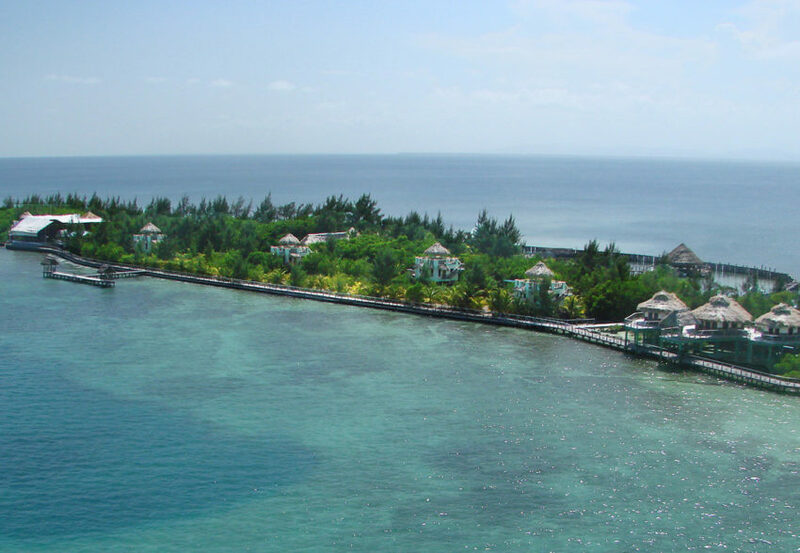 We recommend that you reserve the island at least six months in advance of your stay.